Terminator Apocalypse turns GTA V into a post Apocalyptic survival world where terminator robots rule San Andreas. changed the prisoner events map icon to skull icons. terminators now have less health and are easier to kill. they have half the health than they did before. terminators dont spawn in players view, now they spawn out of sight. a terminator hunter can have RPGS now. 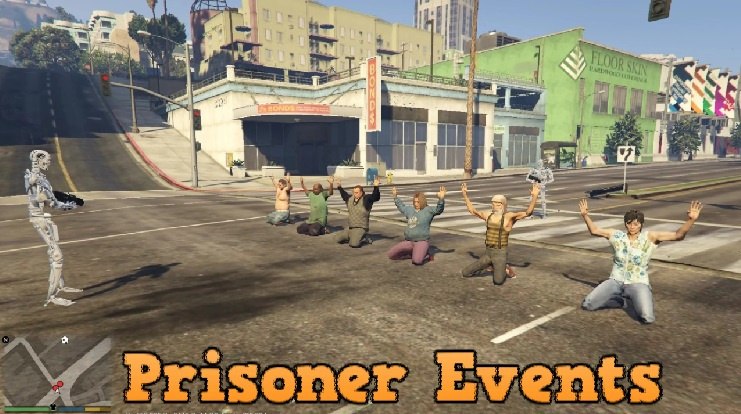 -6 Prisoner Events plus 1 unlockable prisoner event, survivors have been captured by the terminators, you have the choice to save them if you want to. -Terminators will hunt you down no matter where you are, they will hunt you in a groups of twos or threes or a single terminator might hunt you, you have the choice to fight them or run away. -Custom Sounds And Music In Game: terminator finds you sound, Terminator music plays during events, event completed sound. Put TerminatorAttackers.dll file in GTA V "scripts" folder. Put PedAndTrafficControl.dll file in GTA V "scripts" folder. Put TerminatorEvents.dll file in GTA V "scripts" folder. Start OpenIV and Enable Edit mode. Go to the folder > mods/x64v.rpf\models\cdimages\streamedpeds_mp. Replace the file mp_s_m_armoured_01.yft with the downloaded one. Replace folder mp_s_m_armoured_01 with the downloaded one. @SpiderMight Instead of uploading your missions in 50 different packs, why don't you just make a NativeUI menu with all of your mods and let people choose which one they prefer to play? Great Mod! Amazing!!! 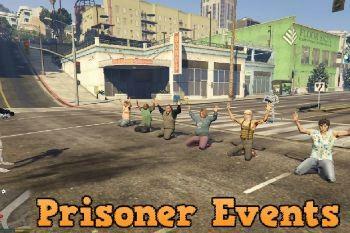 I have a wish, can you make that if you complete all of the Missions, Los Santos is full with NPC's again? @SpiderMight - I love this, thanks! 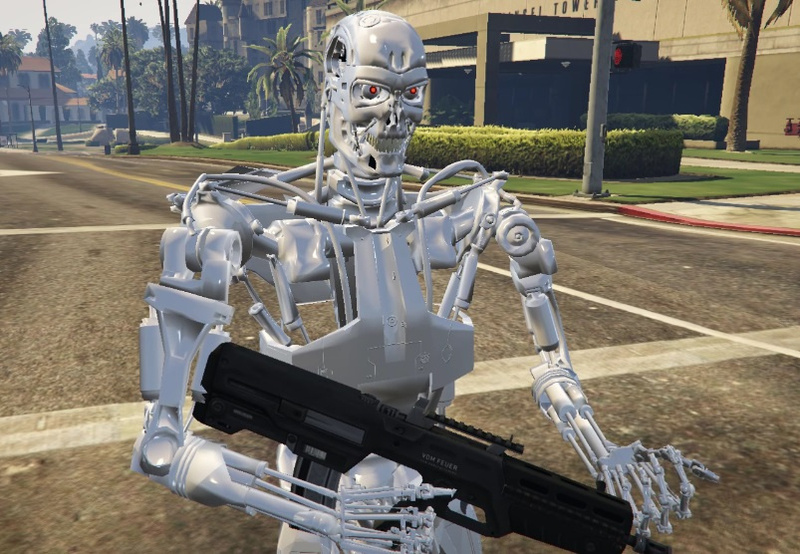 Is there a way to change the terminator model? I have others I'd like to use but they are normal peds (yft-ymt-ytd-ydd), not streamed like the mp_s_m_armoured_01 (yft-folder). How to uninstall the mod? This is impossible, too much health (7 railgun bullets and half a minigun to kill one) Once the first one was killed three more spawned behind me and killed me instantly. so if i skip model replacing and music folder, there'll be some soldiers? Great mod but now its saying skynet is online and my pc is surfing 1000s of websites and I hear the storm sirens outside.Praise Jesus my Lord and Savior.